RealAudio 5 comments by the composer, 3:37. In RA 14.4. RealAudio 3 mono version of Opera. RealAudio 2 mono version of Opera. Midi version of I heard nothing, 21:20. "The title comes from a Beethoven quote: 'But what humiliation when someone stood by me and heard a flute in the distance and I heard nothing.' It's filled with bits of smashed up Beethoven licks." MP3 version of All Night Long, 1:58. Download for dialup visitors. MP3 version of Grape Nuts, 2:06. Download for dialup visitors. story by Gary Barwin, "Defrosting Disney". story by Gary Barwin, "Snow Princess". essay by Gary Barwin, "The Fabulous Brain (You Can Have Any Colour You Want -- As Long as It's Gray): Words for Young Composers About Musical Ideas". essay by Gary Barwin, "Why There Should Be a Rock on Every School Desk". Gary Barwin is a composer, poet, fiction writer and performer. 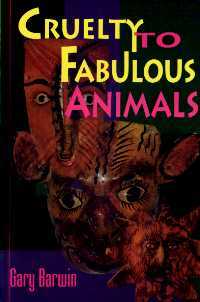 His music, writing and sound poems have been presented in Canada and the U.S. Cruelty to Fabulous Animals (Moonstone Press) a collection of his short fiction, and The Mud Game (Mercury Press) a novel written in collaboration with Stuart Ross were published in the Fall of 1995. Barwin graduated from York University with degrees in Music and Creative Writing. 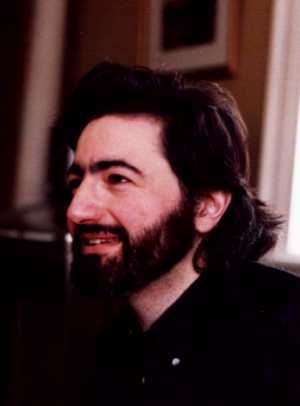 He received his Ph.D. in composition from SUNY at Buffalo His doctoral dissertation, Martin's Idea, a work for reciter, MIDI keyboard and real-time interactive computer system was supervised by Cort Lippe. His writing about music has appeared in a number of publications and include an article on the compositions of Louis Andriessen (Musicworks #60). Recordings of his work include These are the Clams I'm Breathing (Burning Press) documenting performances of his sound poetry with Stuart Ross and for voice and tape (on Musicworks CD #60). Much of Barwin's current work, explores the interaction between spoken language and music, mediated in some cases through an interactive computer system. Gary Barwin lives in Hamilton, Ontario, with his wife, two children, his dog and a fear of the family car. 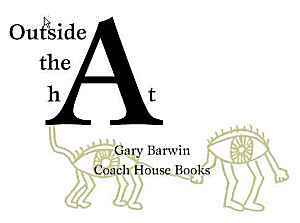 New Book On Line: Outside the Hat.